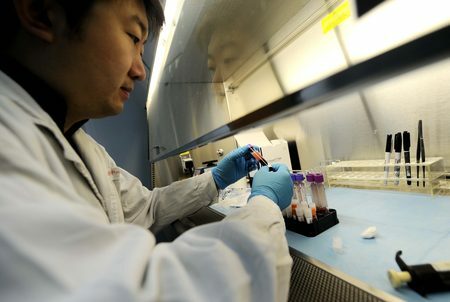 China has been ranked top in the world for both R & D staff numbers and high-tech product exports according to a report by the Chinese Academy of Science and Technology for Development (CASTED) published in February. This comes as the number of patent applications made in China rose to record numbers. In addition, investment in research is likely to account for 2.5 % of GDP, according to plans under the most recent five-year plan. Whilst China ranked 21st globally in technological innovation and research capability, it is undoubtedly true that China will continue to rise in the rankings over the next few years. Wang Yuan, CASTED executive vice-president remarked that ‘the next five years are crucial to sharpening China’s edge in innovation. Such an edge will surely be sharpened in the near future with the rise both patent applications as well as a surge in foreign direct investment in R & D activities coupled with a range of government-imposed tax incentives for foreign companies wishing to set up within China. The United States topped the chart with a rating of 100 on the innovation index, with China having a score of 57.9. Switzerland, South Korea and Japan followed the U.S. to complete the top four.